Do you know those times when you realize you should have paid more attention in school? Like when someone talks about the Truman Doctrine or the Marshall Plan and you don’t know anything about them! But it is never too late to learn more and you can start with learning the difference between the Truman Doctrine and the Marshall Plan. The Truman Doctrine was an American foreign policy aimed at containing the spread of the Soviet influence in Eastern Europe. Greece and Turkey, the only non-communist countries in the region, were the direct beneficiaries of the doctrine. The Doctrine was presented by President Harry Truman to Congress in March 1947. In his address, the president requested Congress to approve a $400 military and economic aid for these two countries. The Marshall Plan was an American foreign policy designed to help rebuild Western Europe after the Second World War. A total of $13 million were spent on the endeavor promoted by US Secretary of State, George C. Marshall. The idea behind it was to prevent any of these countries from falling into the trap of Communism on account of poverty and despair after the war. There is a lot of confusion around these two doctrines on account of them both being American foreign policies launched after World War II, both being connected to the start of the Cold War. However, they are very different doctrines, with different outcomes. Here is the difference between the Truman Doctrine and the Marshall Plan. The Truman Doctrine only identified the two Eastern European countries that remained outside the Russian sphere of influence as the ones that needed help. Namely, Greece and Turkey. The Marshall Plan was directed toward Western Europe, an area devastated by the war. The beneficiaries were all the Western countries starting from the border of West Germany. Containment was the purpose stated in the Truman Doctrine. Greece and Turkey were too close to the Soviet Union not to risk falling prey to the Communist doctrine. On the other hand, rebuilding and support were the main reasons for intervention in the West through the Marshall Plan. In reality, they both were formed to make sure that the Soviet Union stopped spreading its influence. President Truman was the first to identify the Soviet threat in the region and to suggest the need for American intervention in the area. The idea of the Truman Doctrine was merely developed by the Marshall Plan. 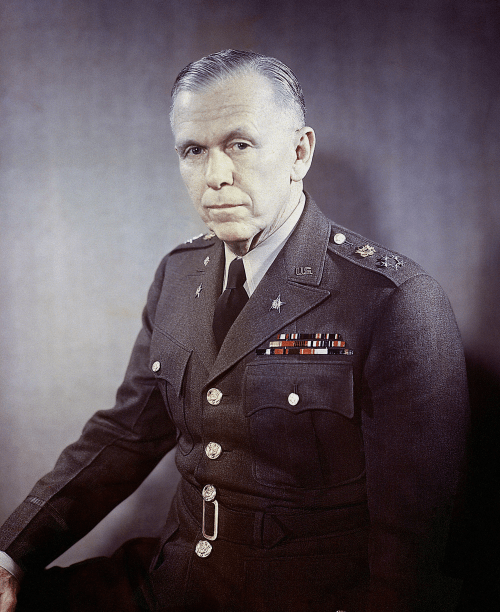 George C. Marshall was a US Secretary of State at the time. He was the one who planned the Marshall Plan, fought for it, and made sure it was carried out. The Truman Doctrine allocated $400 million for the military and economic aid of Greece and Turkey. The Marshall Plan granted $13 billion to the countries in Western Europe. 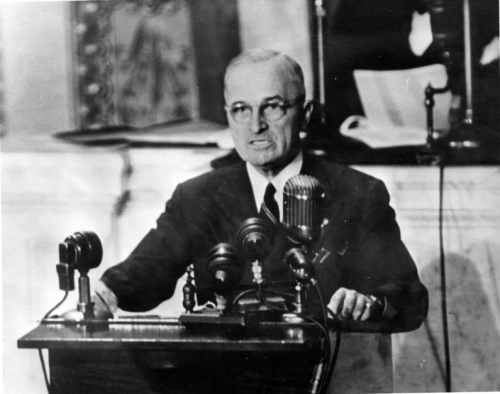 The Truman Doctrine was first mentioned to Congress in the president’s address in March 1947. The Marshall Plan was announced in April 1948 and was in operation for four years. The Truman Doctrine was the first containment policy and it opened the way to many other similar American initiatives, including the Marshall Plan. It also marked the beginning of the American commitment to come to the aid of all “free people” in risk of being subjugated. The Marshall Plan helped Europe experience its fastest period of growth and to cancel the risk of poverty and starvation in the region. As a result of the economic ties formed during this period, the North Atlantic Alliance was born.